From smooth skin to silky spirals and tousled tresses, this season is all about hitting refresh on your beauty routine. And to help you prep for your *prettiest* spring yet, we've rounded up some of our fave finds below. You're welcome! THE BEAUTY BREAKDOWN: Ultra effective yet gentle and non-irritating, ZapZyt uses just five ingredients—including 10% benzoyl peroxide to nix zits. The secret? It’s all about infusing oxygen into pores (which kills bacteria) and clearing away dead skin cells (because exfoliation is essential to clear skin). With these three perfectly paired products, some users experienced visibly clearer skin in three days. 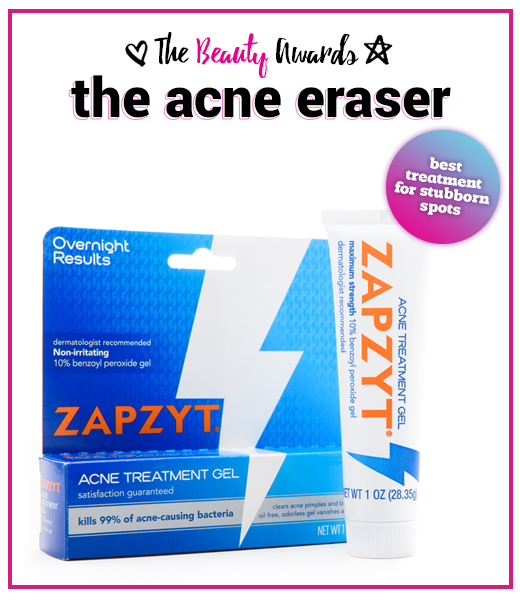 WHY WE LOVE IT: When battling a bad blemish, speediness is essential—and ZapZyt starts to work in just five hours. THE BEAUTY BREAKDOWN: Using sugarcane extract, meadowfoam seed, marshmallow root and other botanicals, this singular strand solution detangles, softens, cuts down on drying time, adds shine, smoothes frizz *and* protects against thermal heat damage. WHY WE LOVE IT: Who wants to prep hair with multiple products? 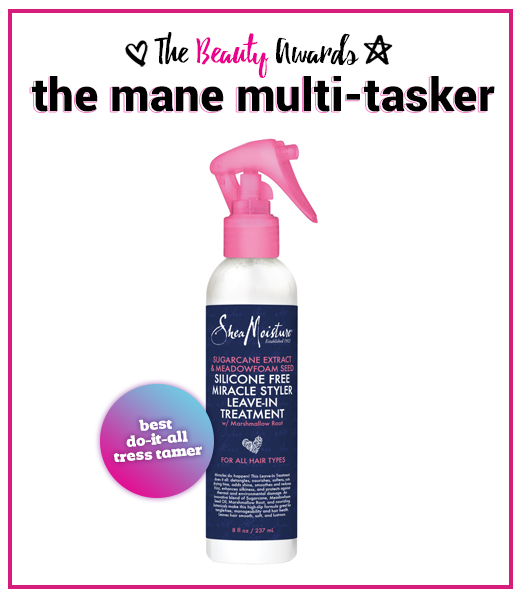 We’re all for saving time (and money) with one amazingly efficient spritzer that solves *all* our mane concerns in a single spray. 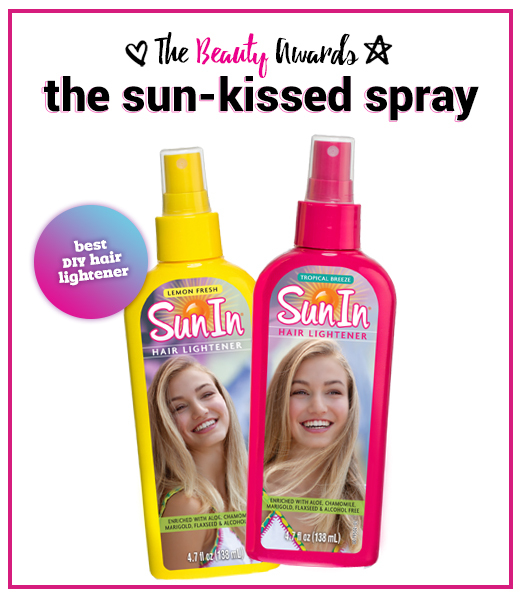 THE BEAUTY BREAKDOWN: For sun-kissed strands—sans bleach, a trip to the salon or hours in the harsh sun—this leave-in lightener is a fresh take on the cult classic spray. The updated formula uses botanical extracts like aloe, marigold, chamomile and flaxseed to condition hair while it lightens. WHY WE LOVE IT: Whether you want to brighten up all over, add some strategic highlights or achieve ombre ends (a very surfer-babe style), Sun In works *exactly* where you want it to—and leaves hair full of beachy body. 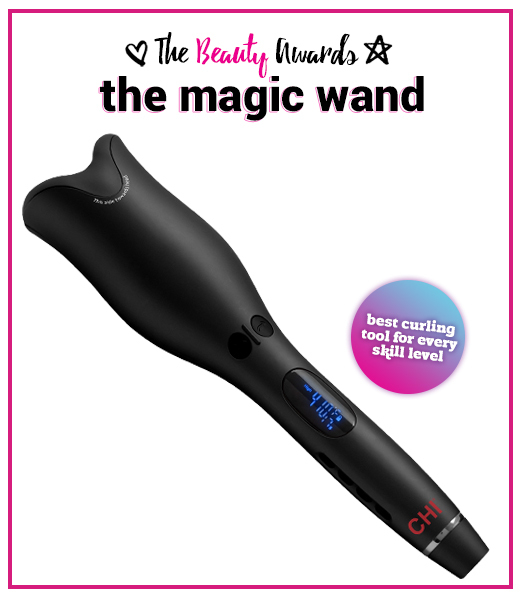 THE BEAUTY BREAKDOWN: This high-tech tool pulls each section of hair into a curl chamber, where it’s gently rolled and heated (with a customizable temp, ofc) to create an effortlessly flawless spiral—no wrapping required. Bonus: The device’s ceramic heat technology uses negative ions to promote shinier strands. 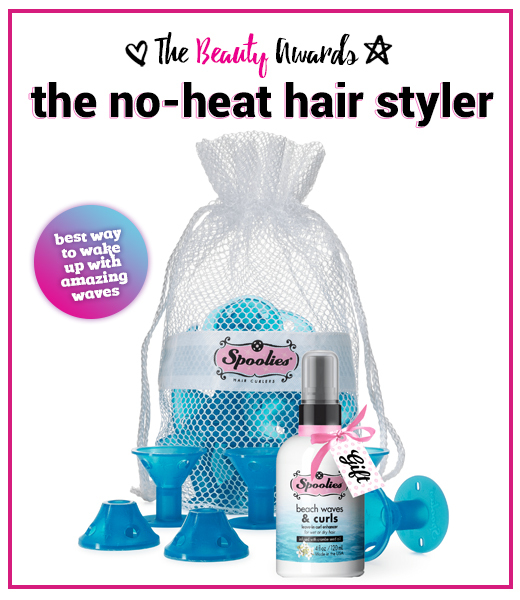 WHY WE LOVE IT: Whether you were basically *born* with a barrel in your hand or haven’t yet mastered the art of making waves, this fail-proof tool ensures consistently perfect curls. THE BEAUTY BREAKDOWN: Simply snag a Spoolie, wrap a section of damp hair around the stem (we like switching it up with a mix of larger and smaller sections), then snap the top to secure. Let strands air-dry for a bit, sleep on them overnight or blast with a blow-dryer if you’re in a hurry—then release to reveal high-quality curls. WHY WE LOVE IT: It’s the *dream* to wake up with amazing hair every morning—and these hypoallergenic, non-slip sleepers make it a reality. 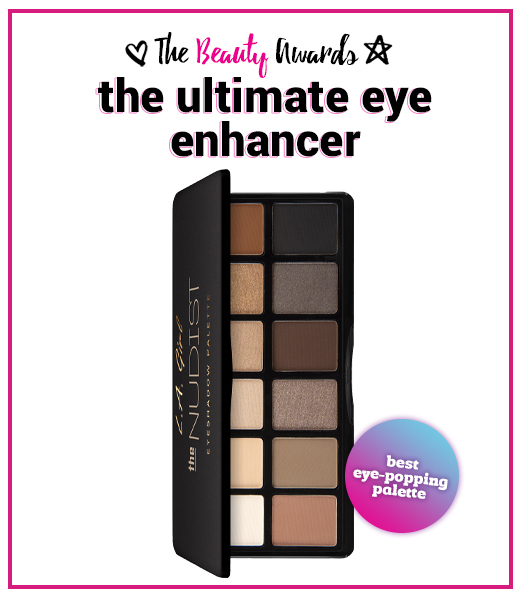 THE BEAUTY BREAKDOWN: Ranging from bone to black in a variety of matte and satin finishes, the 12 highly pigmented shades in this curated collection (think: pretty peach, glimmering gold, metallic taupe and rich cocoa) are everything you’ll need to create high-key looks in one convenient case. WHY WE LOVE IT: Some of our favorite pro makeup artists say it’s the best shadow ever—thanks to the stay-put power (it’ll last until you wash off!) and saturated shades that make a major impact with every swipe. 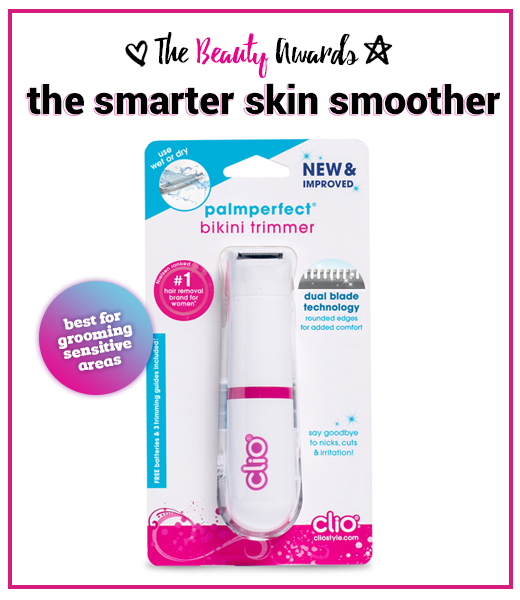 THE BEAUTY BREAKDOWN: Whether you want to trim your hair or shave it for max smoothness, the Palmperfect is ideal for tricky areas like your bikini line and underarms. Three trimming guides keep you in complete control of your grooming experience—and nix the chance of nicks or cuts. WHY WE LOVE IT: An affordable and sustainable alternative to regular razors, this ergonomic trimmer works wet or dry—meaning you can maintain dolphin-smooth skin status on the go. THE BEAUTY BREAKDOWN: Luv Ur Skin products use specially selected natural ingredients to keep young, sensitive skin feeling clean, clear and healthy. A three-piece trio of star facial products—including a cleanser, moisturizer and vanilla cream lip balm—are the ultimate starter pack for a radiant complexion. WHY WE LOVE IT: Luv Ur Skin was developed by 8-year-old Izzi Dymalovski, now 16, who’s CEO of the company and works with expert formulators to customize her products for teen skin. 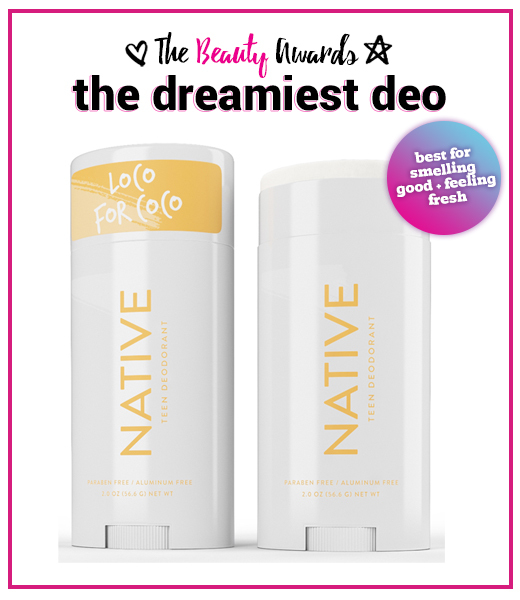 THE BEAUTY BREAKDOWN: Native uses natural products like shea butter, jojoba oil, arrowroot powder, probiotics and even bacteria (the good kind!) to smooth skin and prevent odor—without aluminum or other icky stuff like parabens and phthalates. WHY WE LOVE IT: The tropical scent—a mix of coconut and pineapple and beachy aromas—makes it feel like vacay every day. Plus, the formula is ideal for ages 8 to 18—so it’s basically a custom sweat solution made just for your bod. 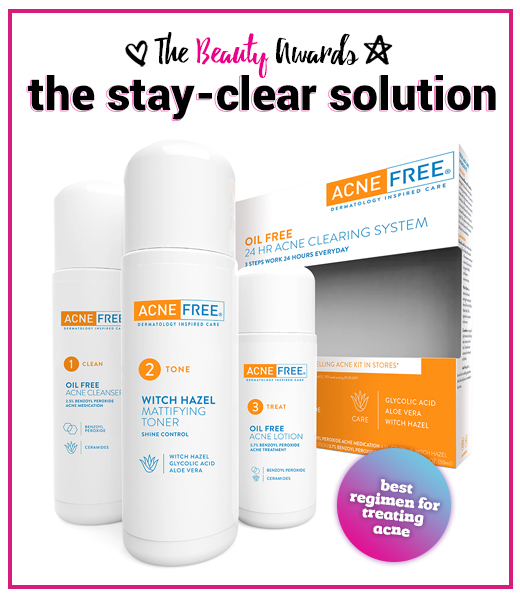 THE BEAUTY BREAKDOWN: This three-step regimen—including an oil-free acne cleanser, mattifying toner with witch hazel and oil-free acne lotion—uses micronized benzoyl peroxide, along with natural ingredients like aloe vera, to treat moderate to severe acne, blackheads and whiteheads. WHY WE LOVE IT: Because easy is everything—who wants to worry over choosing the right routine when you’re already stressing about your skin? 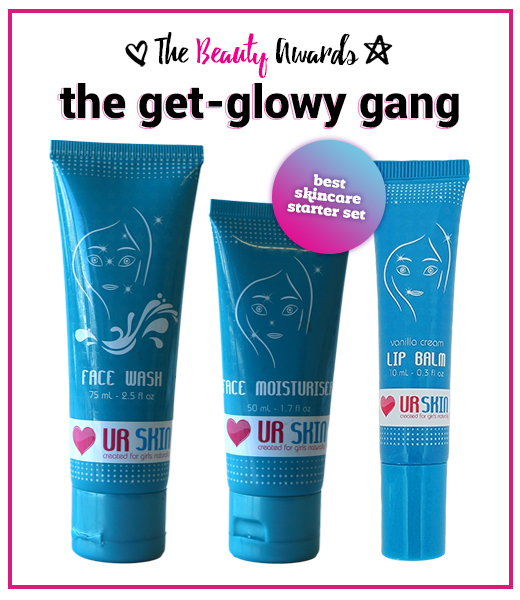 With these three perfectly paired products, some users experienced visibly clearer skin in three days. Plus, the regimen is super simple to use consistently, which derms say is *key* for keeping skin clear. Which of these proddys will you be reaching for next? Share in the comments! 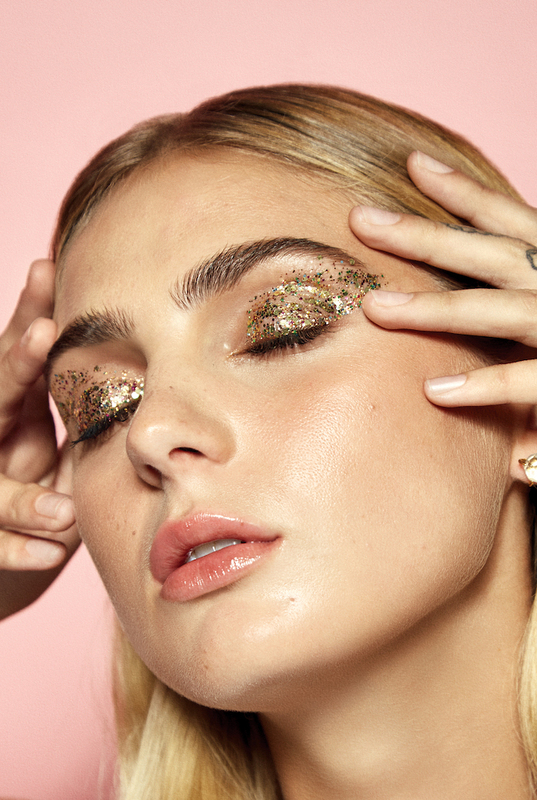 Top photo from GL's April/May 2019 beauty editorial, "Spring Flings," photographed by Sean Scheidt.